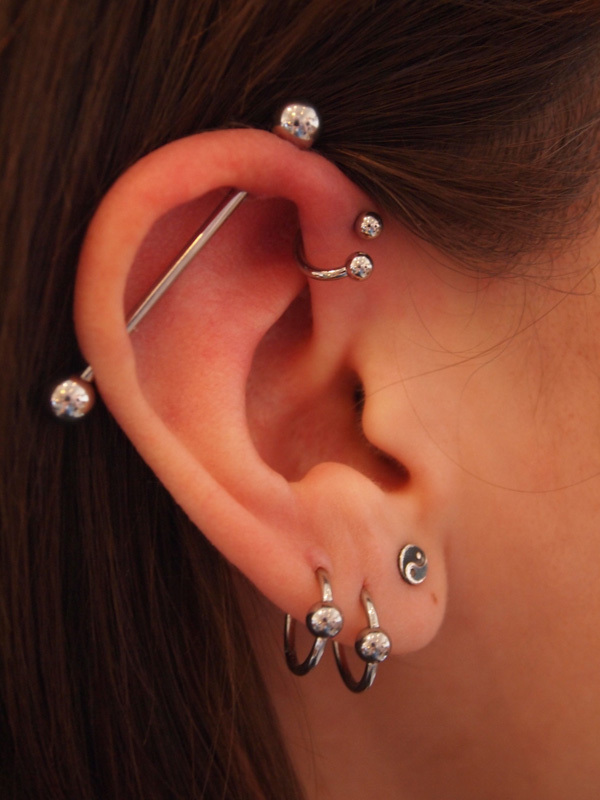 The most popular types of piercings are definitely ear piercings. There are a few different ones, which we will be discussing one by one today. If you are interested in getting an ear piercing or two, then make sure to listen as today, we will discuss the different types and how to take care of it, how to clean it, what to expect, and so much more. 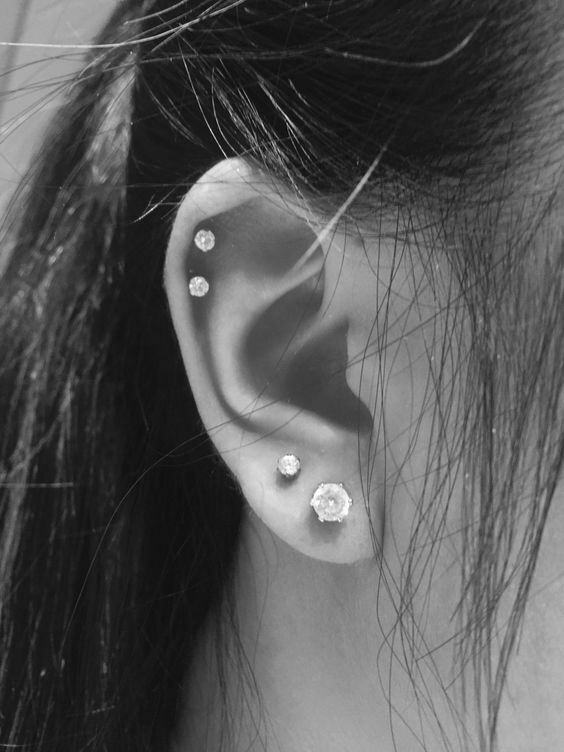 1 What are the Different Types of Ear Piercings? 2 How Should I Prepare for my Ear Piercing? 3 What Should I Expect when Getting an Ear Piercing? 4 How Much will an Ear Piercing Hurt? 4.1 How Long Will the Piercing Hurt? 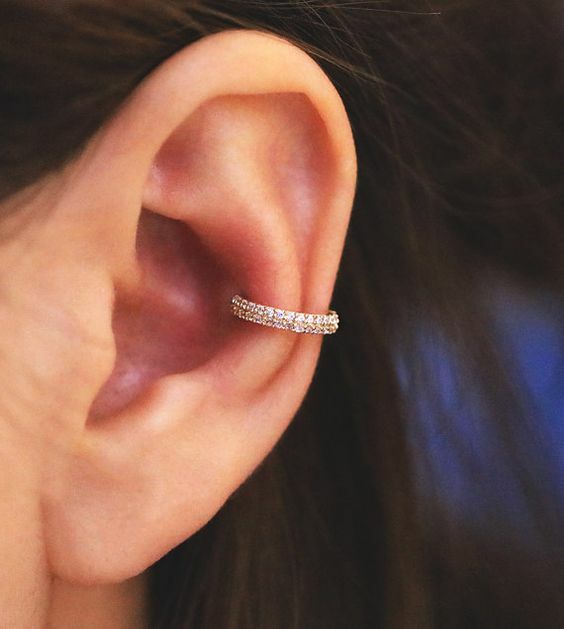 What are the Different Types of Ear Piercings? 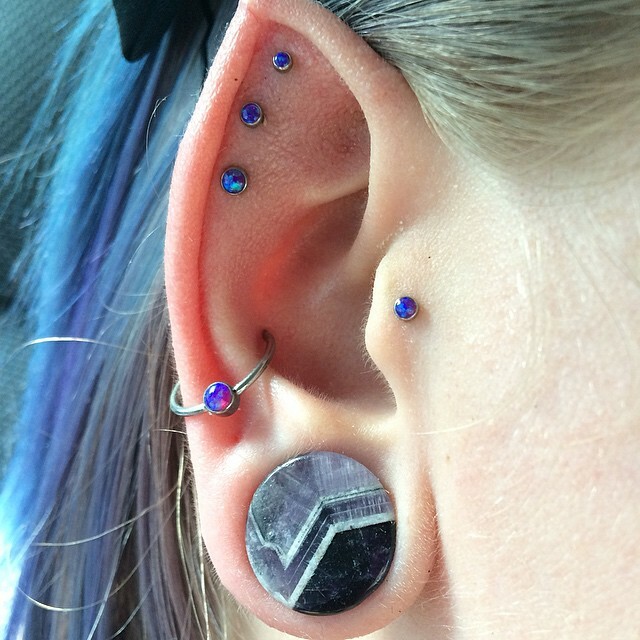 Most piercers will agree with everyone coming into their shop asking for a tragus piercing. However, there are some people who are not qualified to get one. There are rare cases wherein the tragus of a person is too thin, which is not safe to put jewelry in. The ear has many pressure points. People got the idea that if you try and stimulate these points that migraine pains will go away. 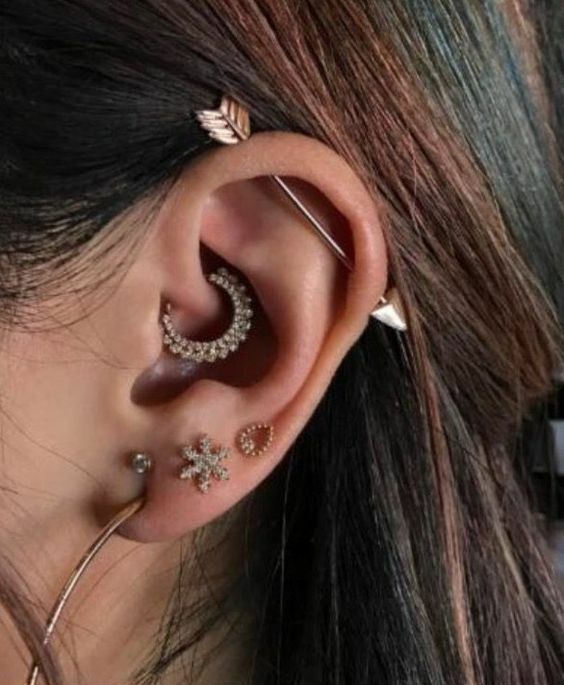 It is similar to acupuncture, the only difference is with daith piercings, the piercing or needle stays in place forever (or until you take the piercing off). It’s hard to pinpoint exactly when industrial piercings became popular. There are so many variations in designs and sizes, but the initial procedure generally involves the same basic 14g barbell piercing. To the outsider, it can look like a new trend or a very old one. Throughout history, there were clearly many cultures that embraced body modifications that looked more extreme than the industrial piercings we have today. With that in mind, it wouldn’t be a stretch to assume that this has been going on for thousands of years, similar to tattoos or even way before. One thing is for sure, although the methods have been refined and the healthcare products improved, industrial piercings still take a very long time to heal and require so much more care, which is why they’re not for everyone. 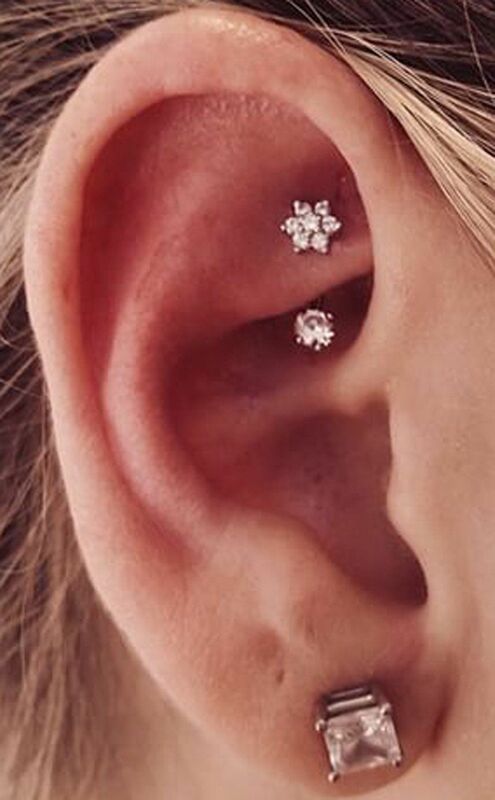 Also referred to as scaffold piercings, industrial piercings refer to any two holes of cartilage or tissue connected with a barbell. These are generally 1.5” apart and connected by a single straight barbell. 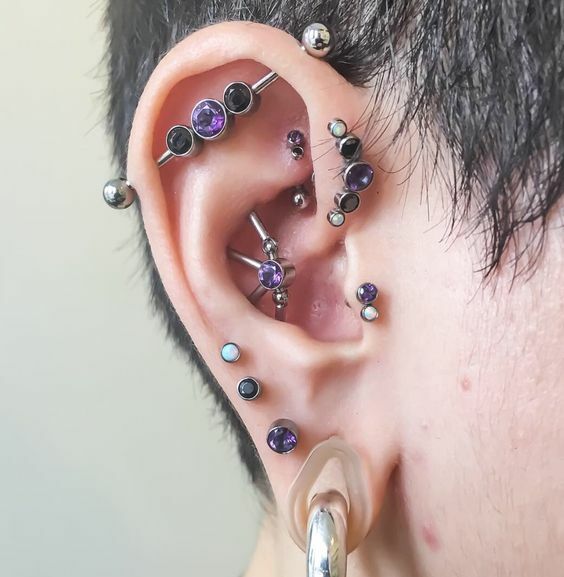 While it’s not mandatory to use an industrial barbell from the beginning, it is recommended and common practice for piercers. There is no special meaning attached to industrial piercings other than the one you give it through your choice of design. A lot of people just go on with the basic industrial barbell while others end up displaying flowers, crosses, tribal patterns, or reptiles like snakes, lizards, and anything else that has a natural elongated shape. 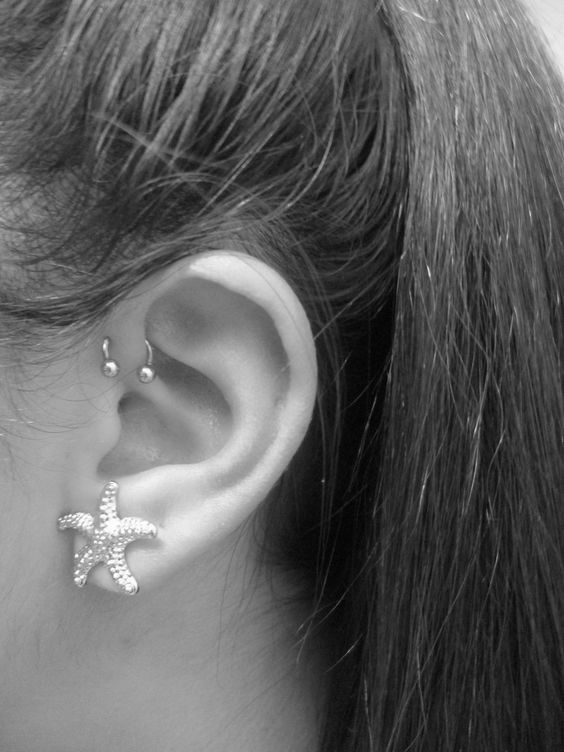 The snug piercing is located on the inner part of the ear cartilage. 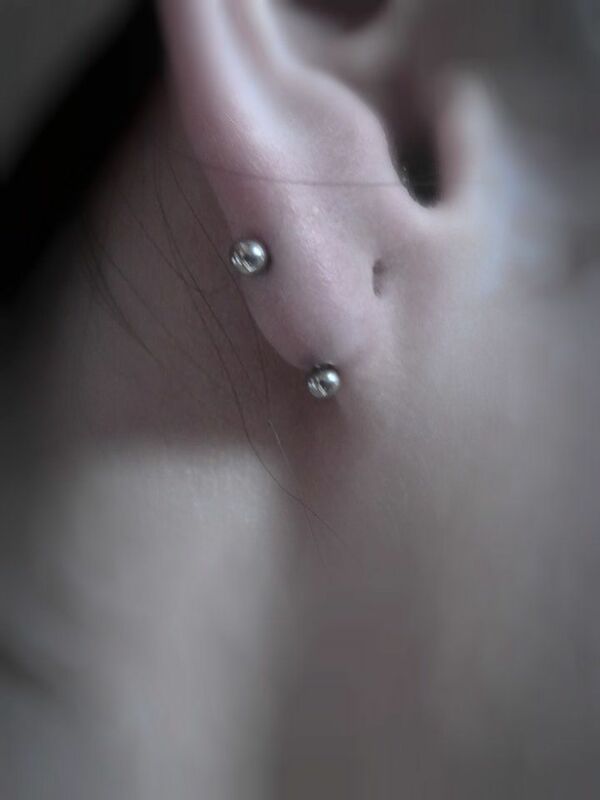 It is directly above the anti-tragus piercing and has a shallow location. 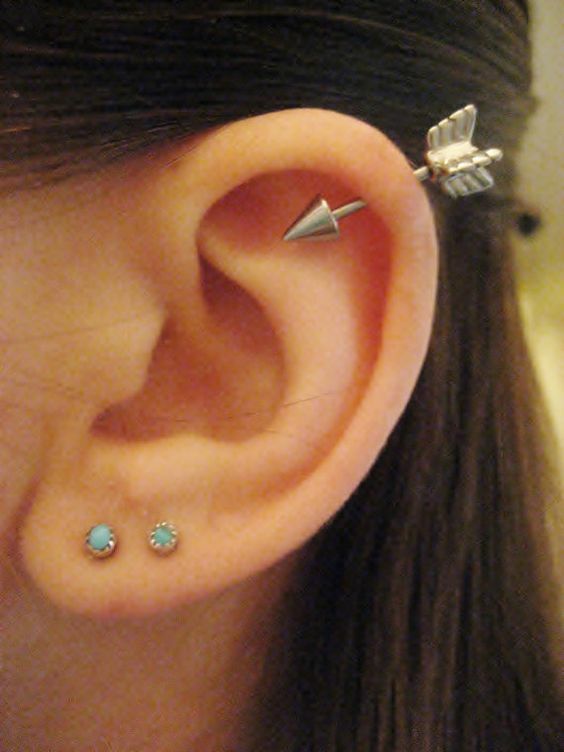 Since this is on the inner ear, it is best to use a small jewelry for this type of piercing. 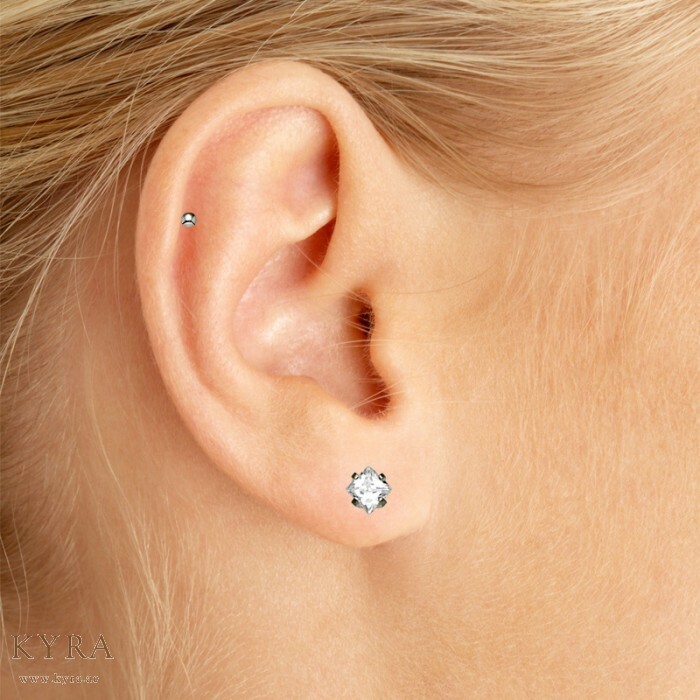 The earlobe piercing is definitely the most well-known and most-wanted type of ear piercing. It is done exactly on the earlobe, which is one of the quickest ones to heal. Even kids can take the piercing pain, as the earlobes are just skin and it’s fairly easy to pierce. You can also be quite creative when it comes to the jewelry: you can use hoops, dangling earrings, studs, or basically whatever you prefer. 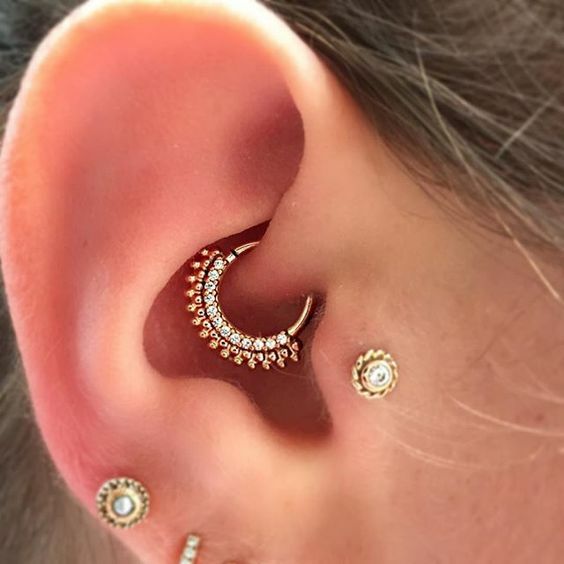 The transverse lobe piercing is quite a unique one. With this piecing, a barbell is usually used to pierce through the earlobe itself. This can be quite painful, considering that the jewelry would have to go through the thick skin. Be sure to ask your piercer if you have the perfect earlobe shape for this piercing, because if you don’t, then chances are you won’t be able to get this one. 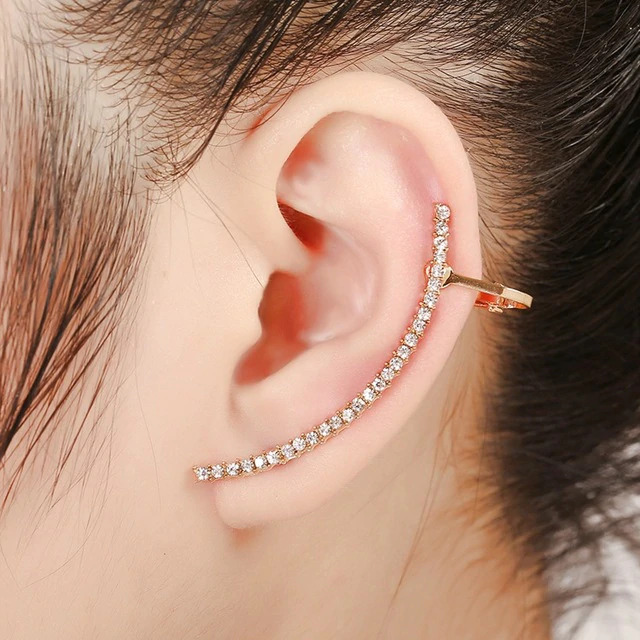 The auricle or rim piercing is located on the rim of the cartilage just outside of the ear. 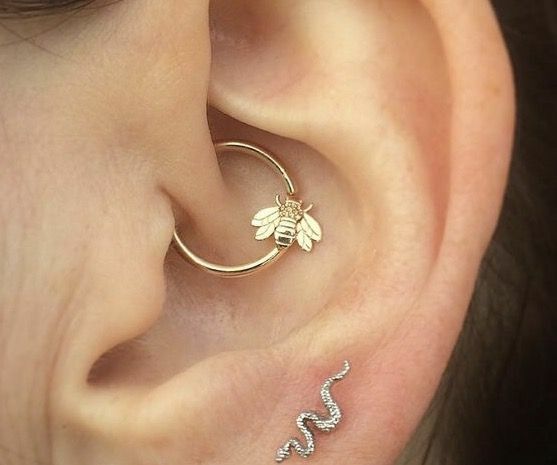 This is usually partnered with an earlobe piercing, although you can also choose to complement it with whatever ear piercing you have in mind. 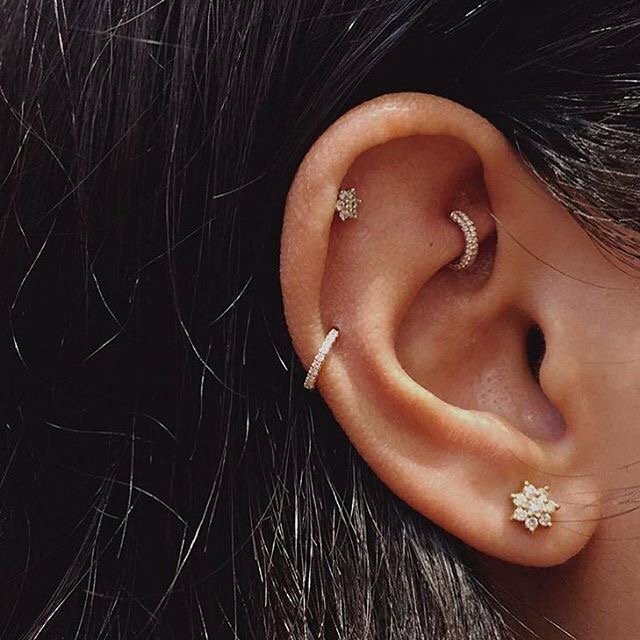 How Should I Prepare for my Ear Piercing? Before the day of the piercing, make sure to get at least eight to ten hours of sleep. There is a high chance that your piercing will hurt more if you are not well-rested, as the body tolerates pain better when it is well-rested. Think of it as recharging or refuelling. Going alone to the shop can make you feel more anxious and nervous. Bring a friend along so you can have someone to talk to and distract you during the ear piercing. You should also be careful not to tug the clothing on your ear piercing when taking it on or off, as this will irritate the piercing and can prolong the healing process. The piercer’s technique will definitely affect the pain during your ear piercing. Do your research and find a piercer that is reputable and qualified to do the piercing. Ask for recommendations from your friends and ask them if they’ve had a good experience with the said piercer. It would also be best to look for a piercer that has done several ear piercings in the past before. Read up about the ear piercing that you are about to get and know how much the pain level will be so you would know what to anticipate. Ask your friends that have undergone the same procedure before and have them describe the pain during and after the piercing. What Should I Expect when Getting an Ear Piercing? 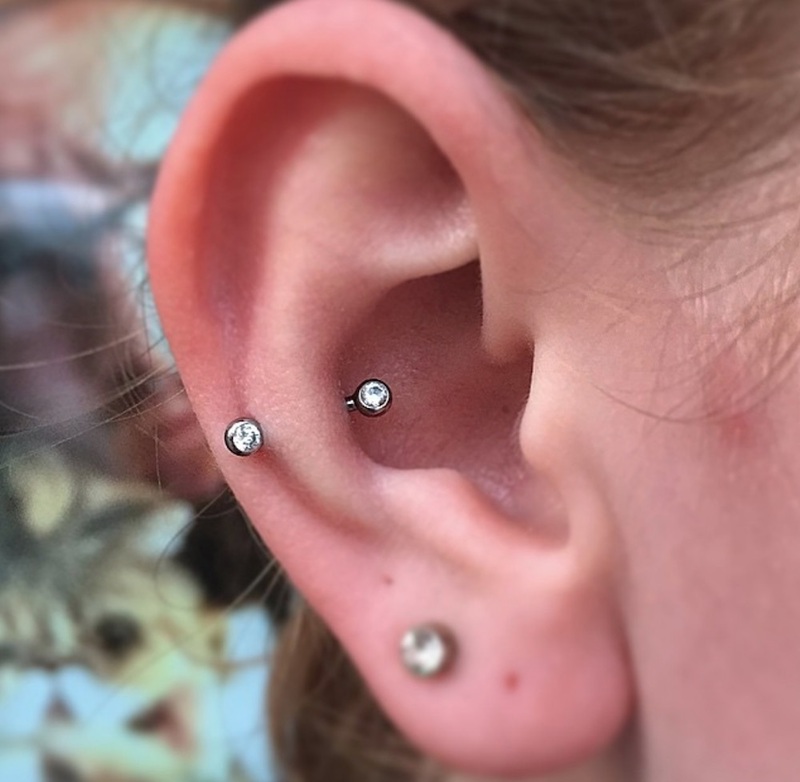 Once you have finally chosen a reputable piercer that will do your chosen ear piercing, you can set a schedule with them. Choose a time wherein you can rest right after to give your piercing some time to heal. Once you are in the piercer’s shop, they will ask you to sit right up or lay down – it really depends on where the piercer is comfortable in. They will then put on a pair of sterile gloves and sterilize the needle that they will use to pierce your ear. If your hair is long, they will ask you to put it up in a bun to get your hair out of the way. Once they are able to see the area clearly, they will proceed to clean the said area with an antiseptic. After this, you can expect them to mark the area with a pen to make sure that they won’t be missing it. 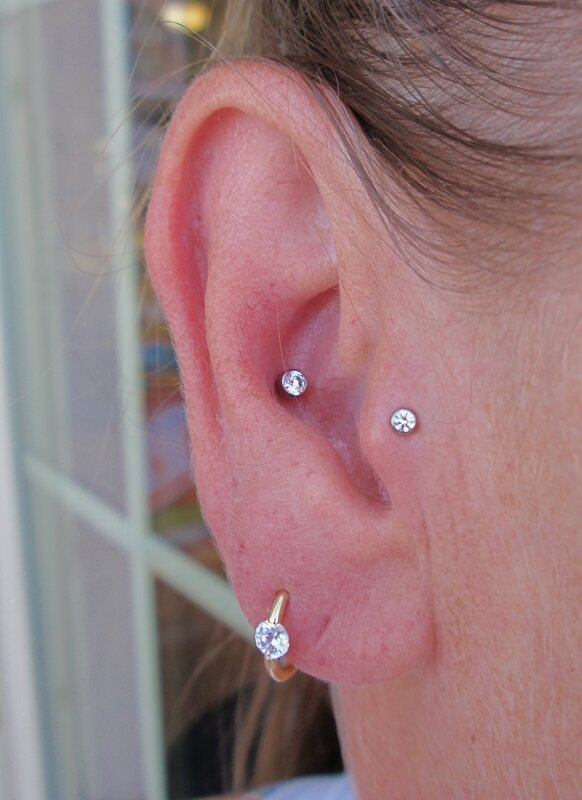 Once the ear has been properly pierced, they will then proceed to insert the jewelry on the pierced area. The piercer will give you proper aftercare instructions, so make sure to listen and follow what they say. 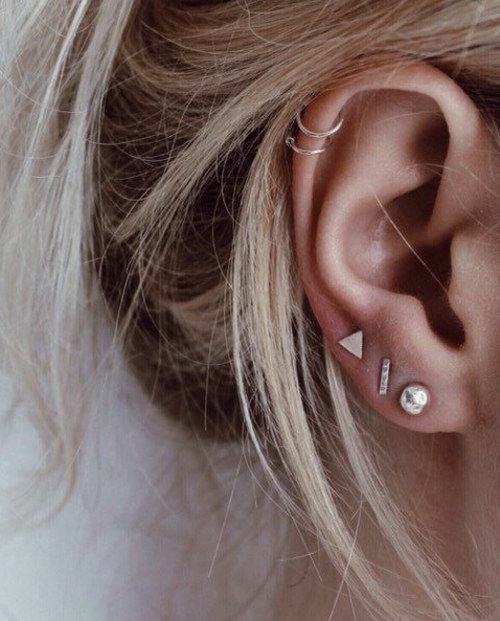 How Much will an Ear Piercing Hurt? As we have discussed earlier, there are many different types of ear piercings. Because of this, the pain level will also differ per piercing. 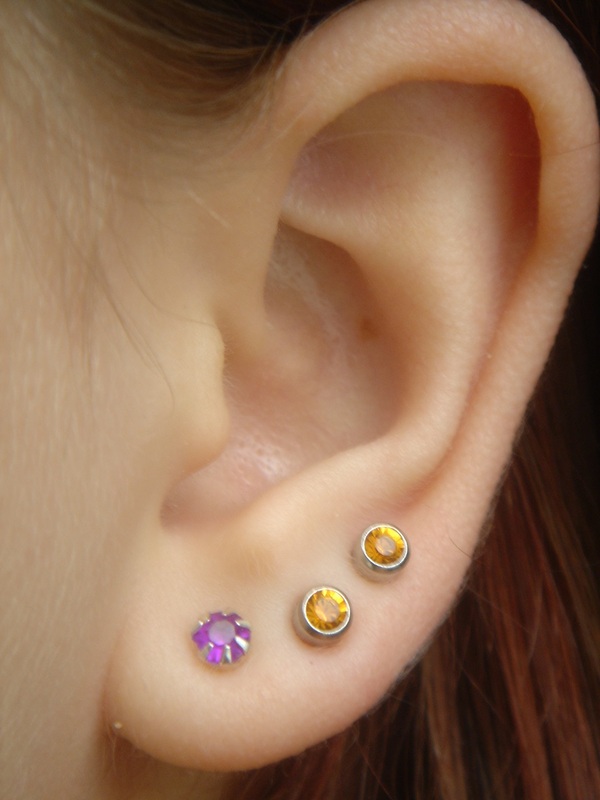 Ear piercings that are located on the cartilage will definitely hurt more than those located on the earlobe. The cartilage is a thick area and is more sensitive compared to the earlobe and thus, the piercing will take longer to heal and will hurt a whole lot more. It is easy to clean an ear piercing and just like any other piercing, all you need is a cotton ball or pad, warm water, and sea salt. Getting an infection can often be a problem with new piercings. To avoid this, you must always remember to clean your ear piercing with the saline solution. Here are the symptoms of an infected ear piercing. If your ear piercing swells after three days or more, then go ahead and visit your doctor, as this might mean that you have an infection. Swelling is usual for a couple of days after the piercing as a foreign object was inserted into your body.